If you buy water, you can cut your bills with this patented flow management device. This new generation adjustable Smart Water Valve™ was created to minimize your water bill by minimizing the amount of air volume that passes through your water meter. 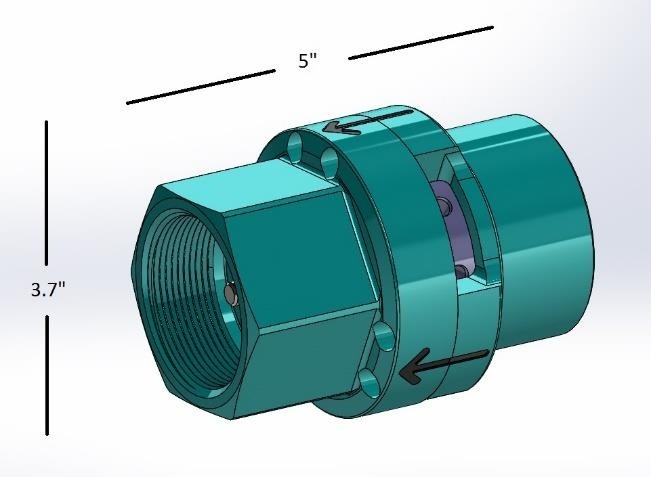 The patented valve takes established fluid dynamics principles and applies them in a new and financially rewarding application. There are several potential problems inherent in water delivery, usage and metering that can impact your water consumption and water costs. Most of these concerns revolve around water system pressure (PSI), flow rate (GPM) and turbulence. It’s a simple fact that along with the volume of water passing through your water meter is a volume of air. The volume of that air will vary as the water pressure fluctuates between static and dynamic pressure. The problem is that over 99% of water meters measure by volume, regardless if that volume is liquid or gas. Water meters are designed to be accurate within a specific flow range (GPM). If the flow rate exceeds this range it can cause the meter to measure inaccurately, charging you for more than the actual gallons used. City pressure can fluctuate significantly, causing pressure surges and drops which can cause the meter to over-spin, and which can even damage water systems and equipment. Surges also occur anytime you go from a closed system (static) to an open system (dynamic), such as when you are using no water then turn on your faucet or hose. Water fixtures in your building are typically designed for water pressure of no more than 65 PSI. The water pressure delivered by your municipality (city pressure) is often much higher, resulting in too much water being pushed through your fixtures and potentially leaking through seals and gaskets that are designed for 65 PSI, resulting in increased maintenance and replacement costs. Smart Water Valve™ may be installed outside or inside by a qualified plumber selected by the property owner. 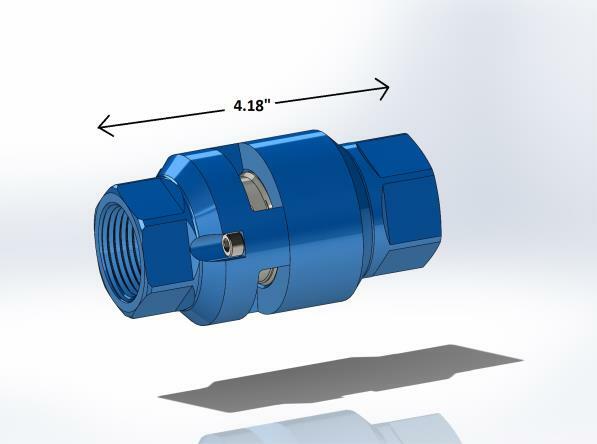 Smart Water Valve™ comes in standard sizes ranging from 3/4" to 12", with larger sizes custom built to order. Each Smart Water Valve™ can be adjusted to achieve optimal performance, on site, without having to remove the valve. As a company that averages about $65,000 water bill per month, with the continuous increases in water [billing rates], I anticipate saving $624,000-$702,000 during the life expectancy of your Water Control Valve. Office buildings, hotels, apartments, colleges, schools, hospitals, sports stadiums, restaurants, commercial laundry operations, laundromats, car washes, food/beverage facilities, manufacturers, and for landscape irrigation systems. I am writing to tell you about our success with your wonderful product, the Smart Valve. We installed the valve on our main water line. The installation was very quick and easy and went without a hitch. Since the valve was installed we have seen consistent savings on our monthly water bill of 10% to 15%. This is phenomenal and has helped improve our bottom line. Other than seeing our water bills drop, you would not even know the valve was there. In addition to the savings, the Smart Valve helped us win the Westchester County Green Business Award for Water Resource Conservation. We are very proud of this as it recognizes the positive results of our ‘green’ operating philosophy. The Smart Water Valve™ air compression benefit works on all single jet, multi jet, and turbine category positive displacement meters. These make up over 99% of all water meters in use. The physics are based upon Boyle’s Law regarding gas pressure and volume, and Le Chatelier’s Principle of volumetric dynamics. 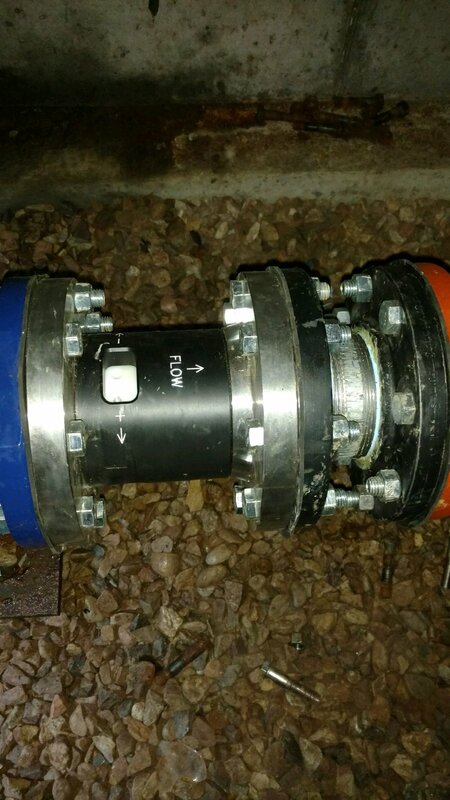 The Smart Water Valve™ is installed in the water line on the USER side of the water meter. The variable spring-loaded plunger maintains a constant ‘backpressure’. This pressurized column of water extends upstream through and past the water meter. When any air reaches this pressurized water, the air becomes compressed and no longer maintains any volume. It passes by the water meter in this compressed state until after it passes through the Smart Water Valve™ and soon returns to its original uncompressed state. The Smart Water Valve™ does NOT physically remove the air from the water, it just eliminates the volume of the air and prevents the water meter from measuring it. A common example of entrained gasses in fluid is shaking up a soda bottle. The gasses are trapped in the soda but have no volume until you remove the bottle cap. Once you remove the cap and thus reduce the pressure, the gasses suddenly have a lot of volume! The Smart Water Valve™ is like the bottle cap keeping the system pressurized at the water meter. You won’t notice any significant difference in the water coming into your facility, but you will notice lower water bills. Another way in which water meters can be inaccurate is during very high or low flow, or during a pressure surge. Water meters are designed to be accurate within a specific flow range. If the flow exceeds this range it can cause the metering to over-read consumption. This is especially true during a surge, such as when there is no water flowing resulting in a higher static pressure, which can create an initial surge when the water line is opened and pressure suddenly drops to the lower dynamic pressure. Surges can also be caused by variability in the municipal water supply. The Smart Water Valve™ proprietary variable spring-loaded technology eliminates these peaks and valleys and creating a smooth, even flow that keeps your meter readings more accurate and protects against damage that can occur from a surge. An effect of creating backpressure upstream is a corresponding pressure drop downstream. With the 2nd Generation Smart Water Valve™ we can precisely control the amount of pressure drop from a little to a lot to fit your system needs. A positive side effect of this pressure drop is that it will save the user additional money in reduced water consumption in non-volumetric water uses such as showers, sinks, hoses and the like. The same five-minute shower will use slightly less water. While you won’t notice it in the shower, it adds up on your water bill! Furthermore, almost all water devices are designed for approximately 60-65 psi water supply. A higher psi can cause excessive water delivery and even leaks at seals and gaskets that can often go undetected. In these cases, a pressure reducer is typically used to maintain a 60-65 psi to the facility. Unfortunately, these devices require maintenance and often fail. The Smart Water Valve™ can act like a controllable pressure reducer in high-PSI water systems, eliminating the problems caused by excessive water pressure. 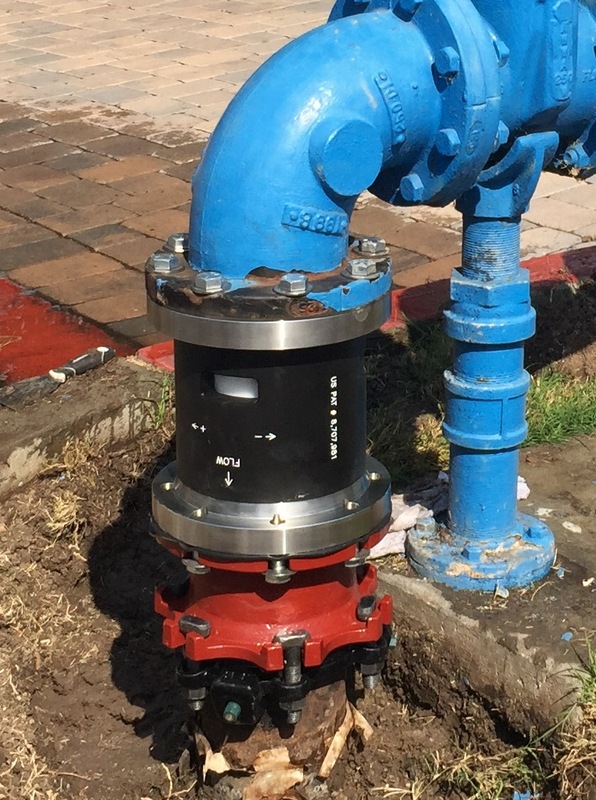 By virtue of its design the Smart Water Valve™ act as a secondary back flow preventer to protect the municipal water supply. This is becoming more and more important as municipalities seek to better protect our water reserves from contamination. The Smart Water Valve™ will save you money and water, and it works 24/7/365 with no maintenance needed. All you have to do is set it and forget it. The only difference you will notice will be in your wallet. Smart Water Valve™ is a registered trademark of Flow Dynamics, LLC. Flow Dynamics LLC is the manufacturer of the Smart Water Valve™. The manufacturer provides a limited 10 year warranty. PACE Building Efficiency and PACE Houston are Authorized National Distributors of the Smart Water Valve™.